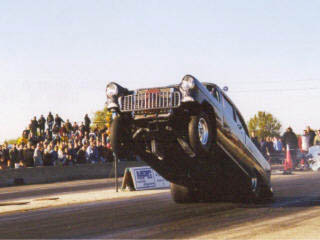 Brian Havlik's '55 Chevy reaches for the sky at Byron. 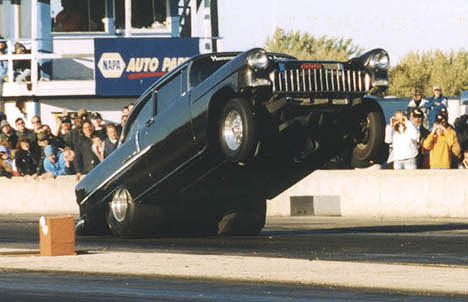 Here are two shots of my '55 Chevy at the Byron Wheelstanding Championships. The first file was taken by my friend Al Mart. Rick Kurtz (Byron's track photographer) emailed the second picture to me and told me I should send some pictures to you.